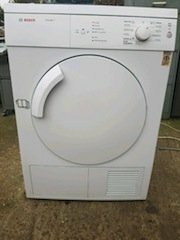 House Clearance Service In Stocksbridge Deepcar Bolsterstone Midhopestone Waldershaigh. 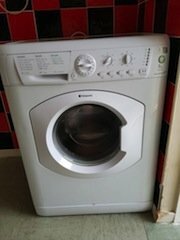 As well as clearing the usual furniture these small items will also need clearing – A Miele SUB 20 universal dust brush vacuum cleaner attachment, A huge purple memory foam homeboy beanbag, A Lakeland hard anodised aluminium casserole pan with handles, A Bosch GDR 10.8v/12v impact driver, A Morphy Richards red soup maker, A green heavy duty metal toolbox, A brand new Snuggle down hollow fibre 13.5 tog single duvet. 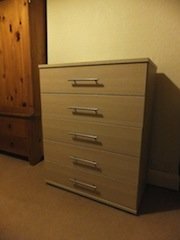 A tall standing lightwood Ikea chest of bedroom drawers. 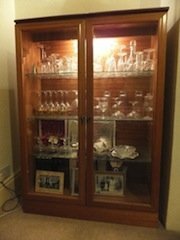 A vintage mahogany and glass display cabinet, together with a large amount of glasses and decanters. 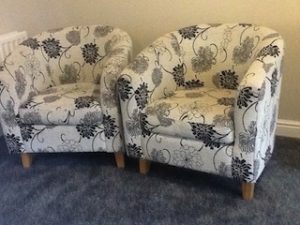 A pair of Laura Ashley tub chairs on beechwood legs, both upholstered in black and white floral patterned fabric. 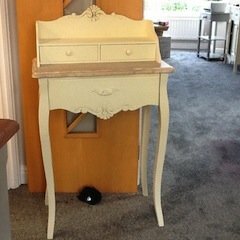 A small cream painted solid wood shabby chic desk, having two small drawers above one large drawer. 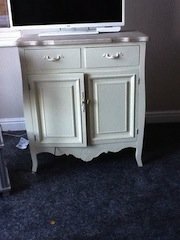 A painted cream shabby chic solid wood television unit, having two small drawers above a double cupboard. 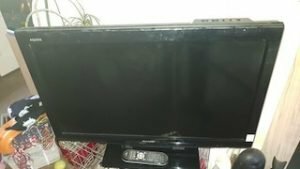 A black Panasonic 49 inch flat screen HD television. 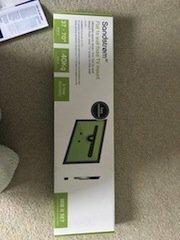 A brand new boxed black metal television bracket. 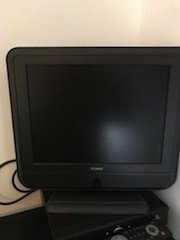 A black 19 inch Panasonic flat screen television, with built in DVD player. 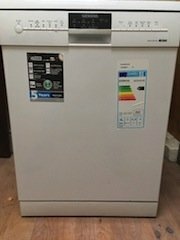 A white Bush two door fridge freezer. 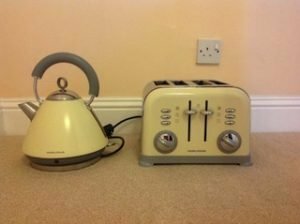 A cream retro style Morphy Richards four slice toaster, together with the matching cone shaped kettle. 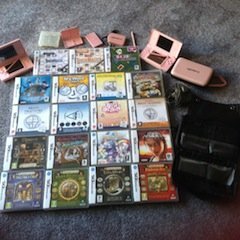 A pair of pink Nintendo 3DS, together with a large amount of games and accessories. 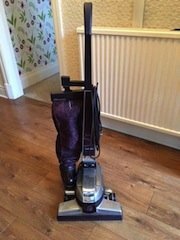 A grey and purple Miele pet hair upright vacuum cleaner. 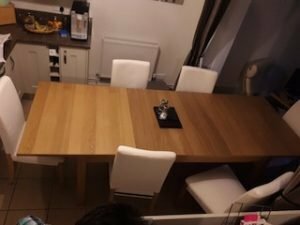 A large solid wood extendable dining table, together with six high back dining chairs, upholstered in white faux leather.